Hello everyone, I am Hao, an early private investor and current community administrator of Nebula AI. I have a lot of thoughts in the last two years, I hope to share all of my thoughts on the blockchain, AI industry and Nebula AI in the next few months. Disclaimer: I am not an employee of Charles Cao, my opinion can only represent myself, not Nebula Ai Inc in Montréal and Charles Cao. After I saw the white paper of Nebula AI (NBAI) in January 2018, it took me only a short time to make the decision — I want to put all the money I earned from the crazy blockchain market in 2017. Because I saw the future in NBAI. In addition to his experience in the white paper, three facts make me think he is a reliable person. First, at the time of the madness of the end of 2017, Charles insisted on completing the test network before private sell. Third, the white paper expresses very clear logic in simple words. I think it reflects the founder’s understanding of what he does. Before I talk about Nebula AI, I want to talk about my understanding of the blockchain. And, why do I think Nebula AI is a true third-generation blockchain. The narratives of the first, second and third generation are not a description of technological advancement, but a description of the scope of influence. I will explain it below. I hate the enthusiasm of TPS and efficiency competing and I don’t trust Dapp since most Dapps have not the necessity for decentralization. They completely distort the nature of the blockchain — the machine of trust. There is no doubt that Bitcoin is great as the first generation blockchain, which has achieved the decentralization of currency issuance through the blockchain and has been safely operated for nearly 10 years under the maintenance of the global community. We can say that Bitcoin decentralized the “Money or Currency”. Ethereum integrates Turing’s complete smart contract, which can be called the second generation blockchain. The reason is that Ethereum adds a “contract” function to the distributed ledger of the blockchain, the“contract” that can be signed directly by both parties and does not require third parties to guarantee fairness and execution. Here we can say that Ethereum decentralized the “contract”. Here we can discover the characteristics of blockchain evolution. Bitcoin decentralizes the most widely used things (money) as the first generation blockchain. You don’t need to sign contracts with others every day, but you will definitely use money every day. It’s clear to see that the evolution of the blockchain is not a process of decentralizing a small field and then gradually expanding the scope of influence. It starts with the most universal things, and then gradually decentralizes the field of advanced subdivisions. Just as the use of money is much more frequent than “contracts.” The evolution of the blockchain is a bottom-up decentralization movement, and it is by no means competition for efficiency. Bitcoin was born from the beginning to solve the problem of distrust of superpower rather than the bank card transfer is too slow. So, First, I believe that the essence of the blockchain is to solve the problem of trust. Decentralization is the foundation of a blockchain; Second, decentralization is relative, as“Money” is more universal than “contract”, so bitcoin has a higher level of decentralization than Ethereum. Third, attempts to improve the efficiency of the blockchain should not sacrifice decentralization. Nebula AI has its own clear positioning — to decentralize the artificial intelligence industry, accurately speaking, the part of the computing power. Nebula AI can be the third generation of the blockchain, since NBAI has decentralized the more advanced areas, that is, the artificial intelligence industry, which is completely in line with the evolution of the blockchain — from the decentralization of general to Decentralization of the subdivision. The artificial intelligence industry is highly centralized, the capital, technology, and resource. To develop artificial intelligence, we must have the algorithm, data and computing power, and all of these are highly centralized. For Big Data, big government and large corporations, such as Google, Facebook, Alibaba, Tencent,etc. have been mastering the big data. This process is irreversible. No matter how you protect your information from now, there is no way to reverse this process at a macro level. The power structure of human society has never been as unbalanced as it is today. The “Project insight” of Captain America 2 is not far from us. But computing power is different. Without the widespread use of GPU, parallel computing and deep learning will be just a dream, the artificial intelligence industry will be a pseudo-proposition until today. Although the computing power providers are still dominated by large cooperations such as Amazon and Google, the computing power is not necessarily highly monopolized, because the essence of computing power is the GPU. 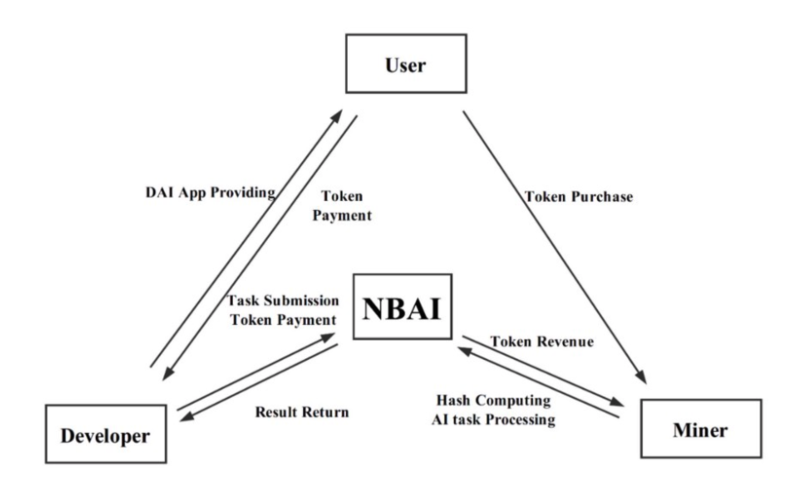 NBAI decentralized cloud computing provides the only possibility for the decentralization of artificial intelligence. The three major elements of the artificial intelligence industry — big data is monopolized by large cooperations, and this process is difficult to reverse. The algorithm is only a commodity. The only thing that can be decentralized is computing power. Through the NBAI blockchain, idle GPUs distributed around the world can contribute to the artificial intelligence industry. 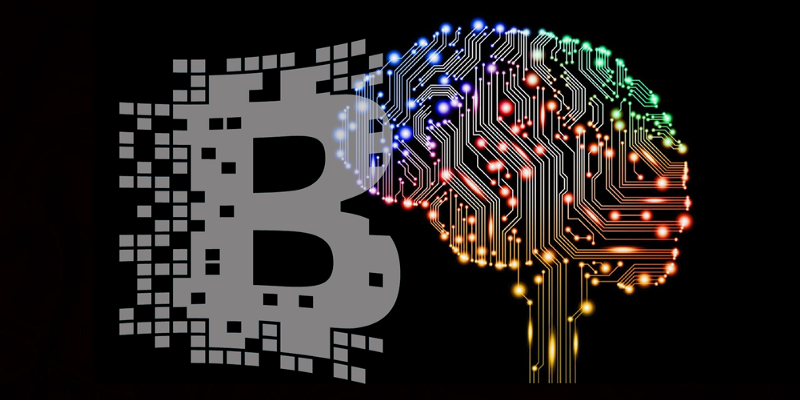 There are maybe a computer with a high-end GPU or a professional artificial intelligence computer room, which can be added to the artificial intelligence industry through the NBAI network. NBAI makes decentralization a tool to combat strong centralization and relies on the characteristics of the blockchain itself and decentralized storage technology to create a new type of decentralized artificial intelligence computing network to change this the reality of the industry. The decentralization of NBAI is a kind of mature decentralization that can directly match the existing industry, instead of the fanciers or arrogant subversives who want to completely change the existing enterprise structure to “blockchainization”.NBAI offers cheaper, safer and more desirable computing options, as well as convenient access methods and payment systems. Run in a way that fully complies with business logic and rules. Fortunately, Nebula Ai has basically implemented most of the technology needed.